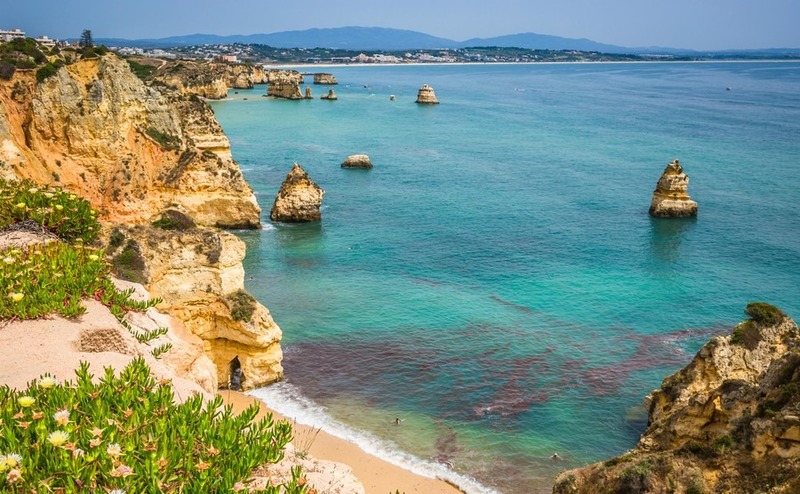 Lagos is one of the Algarve’s most vibrant seaside towns, where everyone from backpackers to owners of super yachts converge to enjoy its many delights. Lagos is a one of those places with a genuine “wow factor.” Although most frequently approached from the east (by those driving from the region’s Faro airport), it’s worth a five-minute detour to drive in from the west. This rewards visitors with a stunning view of the half-moon-shaped Meia Praia beach, framing the charming old town. Thanks to its status as a fabulous surfing spot, Lagos has a global reputation; unlike other Algarve resorts, you’re as likely to see backpackers from Australia and the USA as you are tourists from Northern Europe. This contributes to the town’s vibrant atmosphere and cosmopolitan feel. Although it’s easy to say that a resort “has it all,” with Lagos it’s no exaggeration. Meia Praia beach is a huge, wind-swept stretch of sand spread over several kilometres. At the other end of town there is a selection of small cove beaches offering a completely different feel. These coves include Praia de Dona Ana, a real “picture postcard” spot, where the sea shimmers in varying shades of blue and green. Separating the two beach zones is the 16th-century wall of the pretty “old town”, where you can stroll around picturesque piazzas and ancient churches, and a 450+ berth modern marina where you can enjoy stylish bars, restaurants and shops. It’s this choice of distinct “zones” that gives Lagos such widespread appeal. You could eat dinner on a cobbled street outside a rustic restaurant one evening, then find yourself in a glitzy steakhouse the next. It all provides a unique opportunity to mix with locals, travellers and the boating set all in one place. 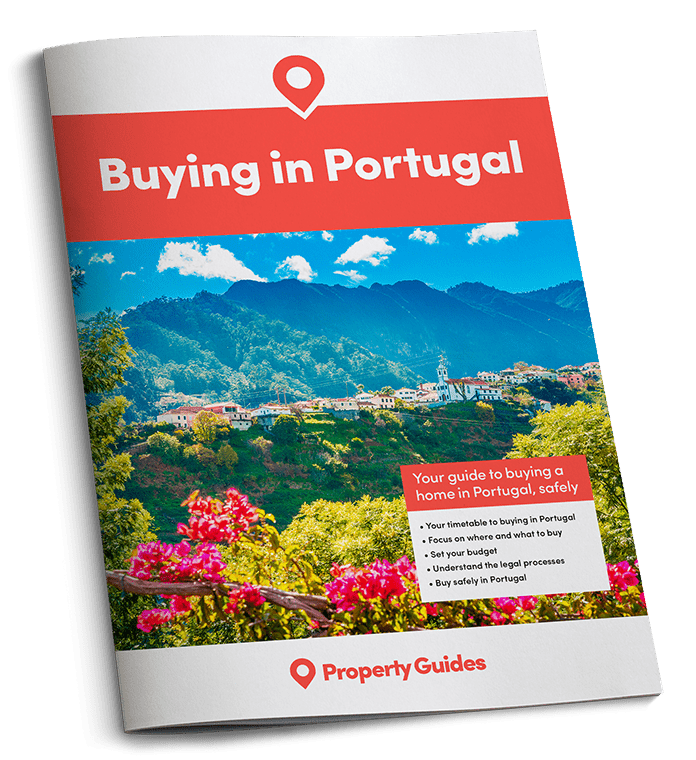 If you’re ready to buy in Portugal, you’ll have a few financial matters to sort out. For the most personal service with your currency, contact Smart Currency Exchange. As a place to live, Lagos offers well-established resort there’s plenty of choice when it comes to housing – both in the town and on the outskirts. There are quirky rustic houses on the cobbled streets of the centre, sleek apartments right on the marina, and modern complexes lining the streets behind Meia Praia. There are also villas with plenty of privacy in the surrounding area. Two-bedroom apartments go from around €125,000 and three-bedroom villas with pools from €250,000. Lagos is well-served with amenities. There are dozens of shops, bars and restaurants, and the two small supermarkets in the town are joined by plenty of larger options a little further out, as well as retail parks a short drive away in Portimão. 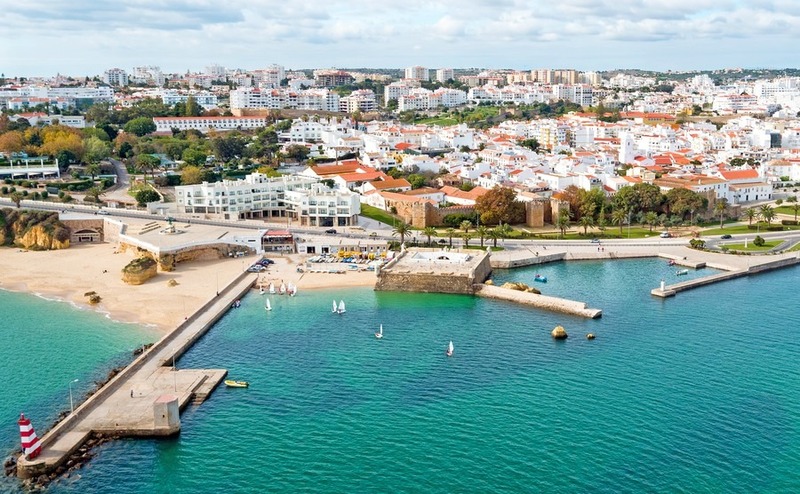 Lagos is about an hour’s drive from Faro airport, with year-round budget flights jetting in and out from the UK. Lagos is the furthest western point of the Algarve train line. The journey on the train isn’t a fast one, but it’s picturesque and provides an option for those who’d rather not drive. Lagos has the kind of charm that ensures it’s a place you never forget. It can be one of the windiest spots in the Algarve, but this helps to take the edge off the peak summer heat – and is great if you love windsurfing. If you’re looking for an Algarve destination that will please the whole family, Lagos needs to be on your shortlist.